Some called light heavyweight Jack Dillon "Jack the Giant Killer" for his ability to handle the most unstoppable heavyweights of the day. A prolific fighter who traveled the U.S. and Canada setting up fights as often as he could, Dillon had stamina, strength, and intelligence. He turned welterweight pro in his native Indiana at the age of seventeen, but soon moved up to the middleweight division and fought for two years before being handed his first loss, a ten-rounder with Eddie McGoorty. In 1912, Dillon scored a third-round knockout against Hugo Kelly, and promptly claimed the world light heavyweight title, uncontested since Philadelphia Jack O'Brien had won it some years earlier. By 1914, Dillon was officially recognized as champion, when he won a decision over Battling Levinsky. Later that year, a referee cut short a Dillon-K.O. Brown meeting after three rounds, saying the fighters were just going through the motions. Dillon, who did sometimes carry weaker fighters, was apparently affected by the criticism that followed that bout and began to fight heavyweights who were invariably larger. He defeated such big men as Al Weinert, Tom Cowler, and Fireman Jim Flynn. Dillon defeated Flynn twice, knocking him out in 1916 only a year after Flynn had defeated Jack Dempsey. 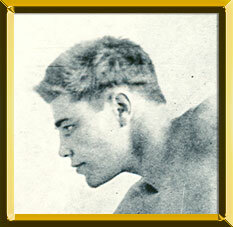 Dillon lost the world light heavyweight title to Battling Levinsky in 1916 in their ninth meeting. Levinsky employed ring science to avoid Dillon's still powerful punches and won on points. Dillon continued to fight for seven years after losing the title. A workmanlike fighter who did not vigorously seek the spotlight, Dillon's aggressive attacking style against bigger men won him a place in ring history. Dillon left boxing in 1923, not much richer than when he started. He retired to Florida where he lived next door to a small restaurant he owned and ran. He died in 1942.